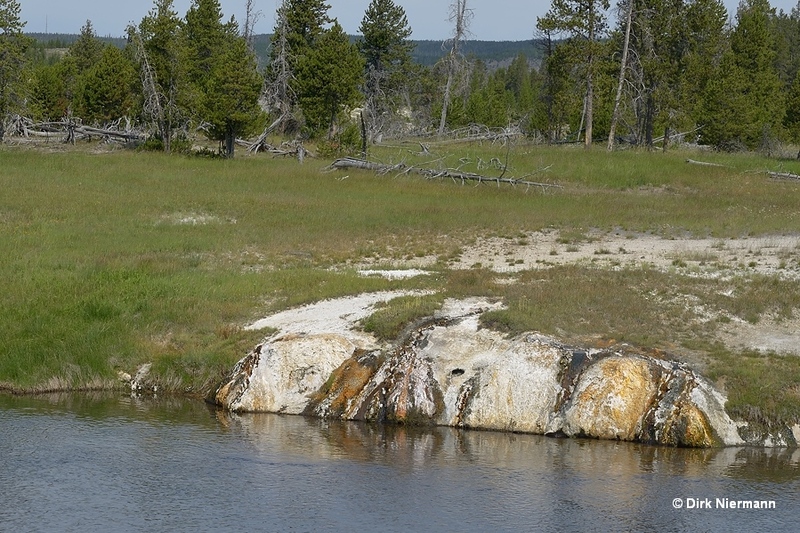 Northwest of Chromatic Pool the trail crosses Firehole River and enters the Giant Group. Immediately beyond the bridge Inkwell Spring occupies the riverbank. It consists of several single features, which are weak perpetual spouters at best. Responsible for the name are dark colors along the runoff channels, originating in the deposition of black iron minerals. On the other side of the trail Oblong Geyser is embedded in a large sinter shield. Unfortunately, that makes it only marginally visible, if not erupting. Oblongs intervals are quite erratic between 3 hours and half a day. Only from a distance the Purple Pools can be spotted on the east side across the river. 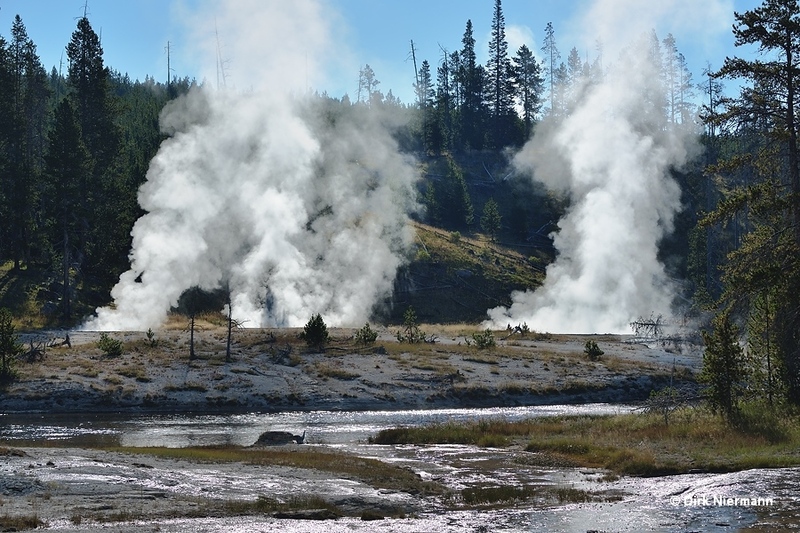 The best position is from the trail and the observation platform in front of Giant Geyser. All three of them are connected to Giant Geyser subterranean. 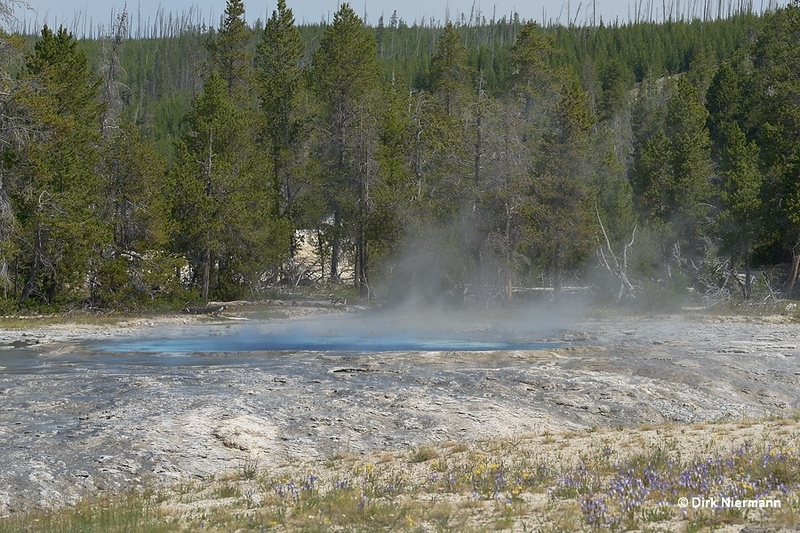 Especially South Purple Pool, the largest of the three, is capable of powerful eruptions. 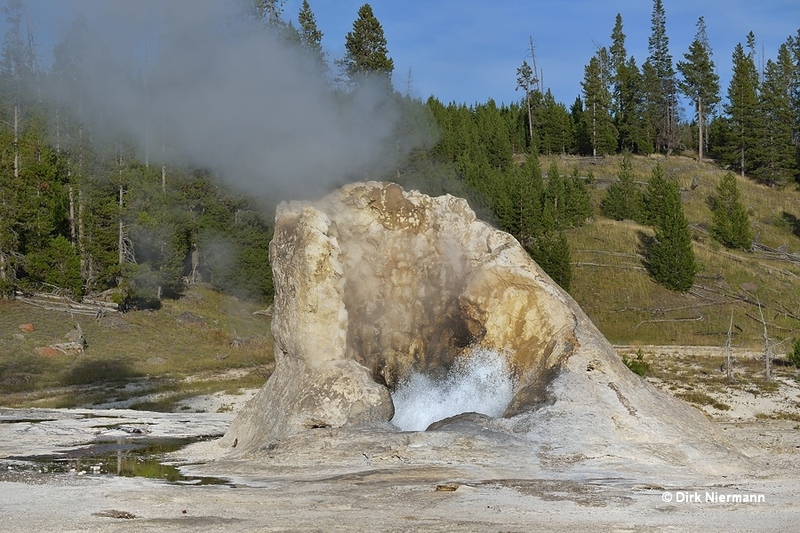 Giant Geyser owns one of the most impressive cones of all known geysers. It is 3.5 m (12 feet) tall, the diameter inside is 1.8 m (6 feet). As capital as its cone are also its eruptions. Jetting water up to 75 m (250 feet) makes it currently the second tallest geyser of the world. 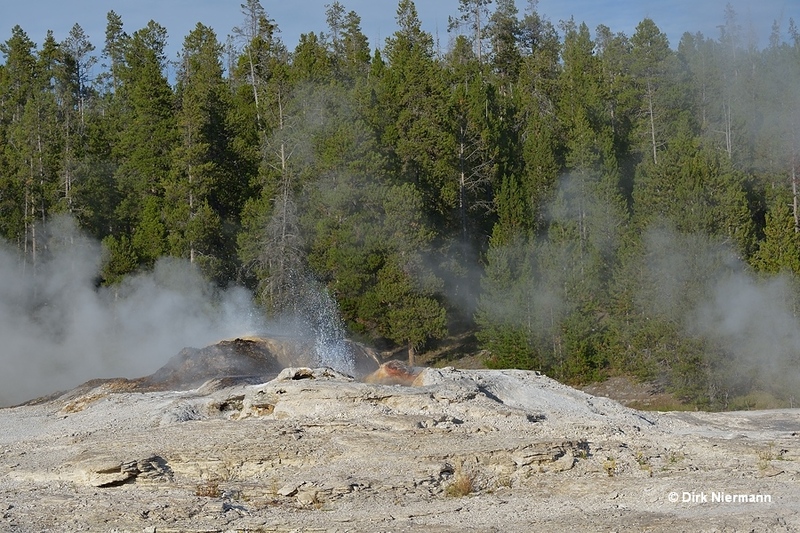 Unfortunately, Giant Geyser is very irregularly active, meaning something between one time per week and years of dormancy. 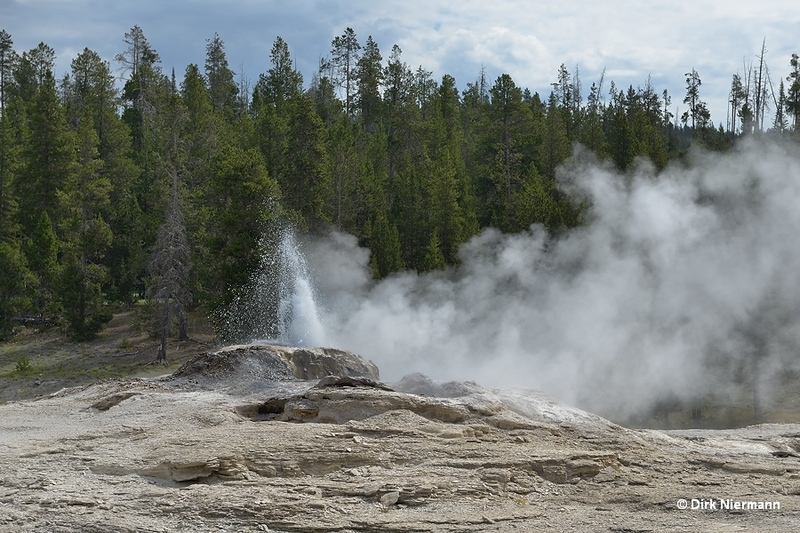 Its eruptions are prefigured by so-called "hot periods", during which the water level in Mastiff Geyser's bowl rises and small vents in front of Giant, the "Platform Vents", become active. However, not every hot period triggers an eruption of Giant. Several further geysers are located on Giant's sinter platform. The crater north of Giant belongs to Mastiff Geyser. After Giant it is the second tallest geyser on the platform, with eruption heights of up to 9 m (30 feet). This happens almost exclusively during the "hot periods", otherwise it only shows weak splashing, hardly surpassing the rim. On the north side of the platform Bijou and Catfish Geysers show up in close vicinity. 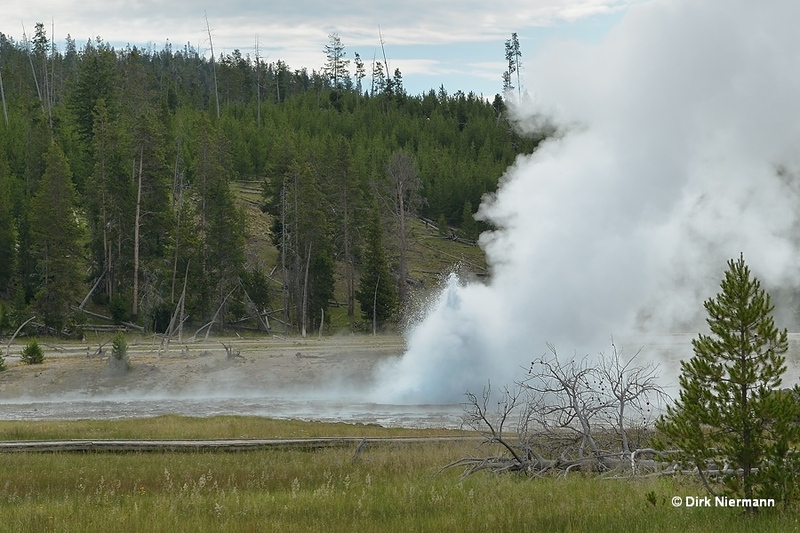 Bijou Geyser is almost constantly spouting up to 5 m (15 feet) high. 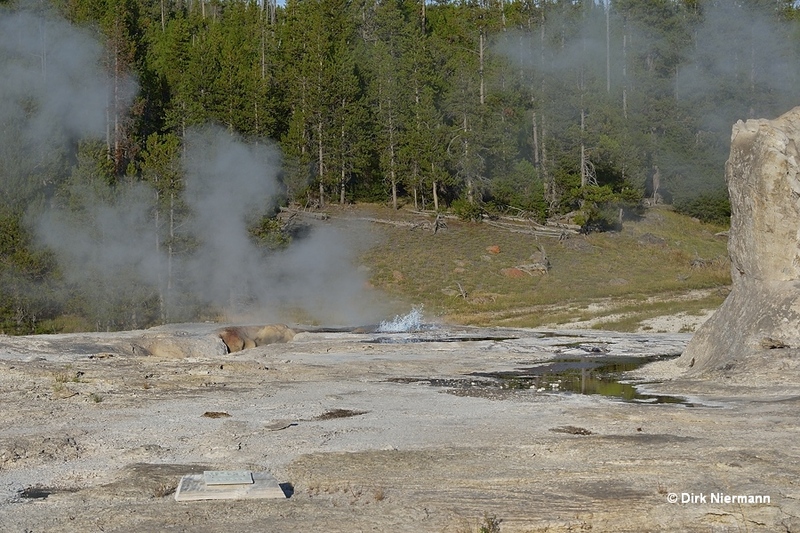 Catfish Geyser is frequently boiling but also capable of erupting to the same height as Bijou. 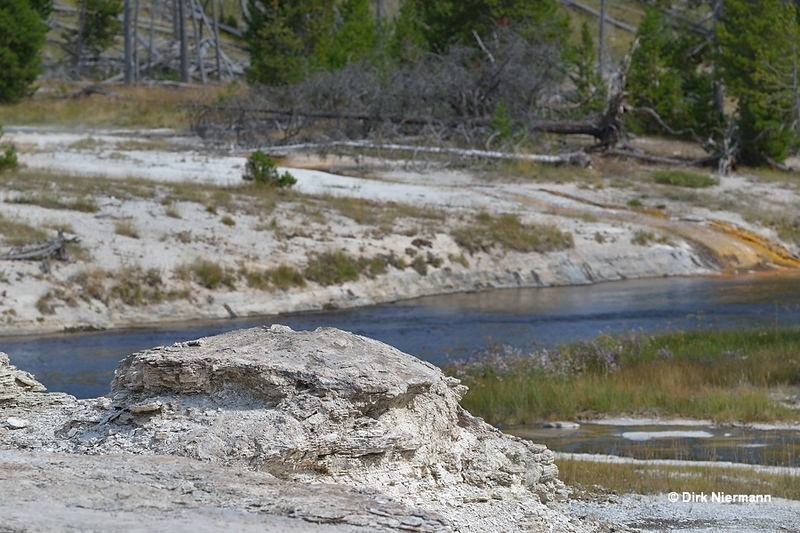 On the other (south) side of Giant's cone Turtle Geyser sits at the edge of the platform. Although some larger eruptions are known from the past, it usually splashes only up to 1 m (3 feet) high during the hot periods. The northernmost feature of the Giant Group is called "The GIP". GIP is the abbreviation of "Giant's Indicator Pool". 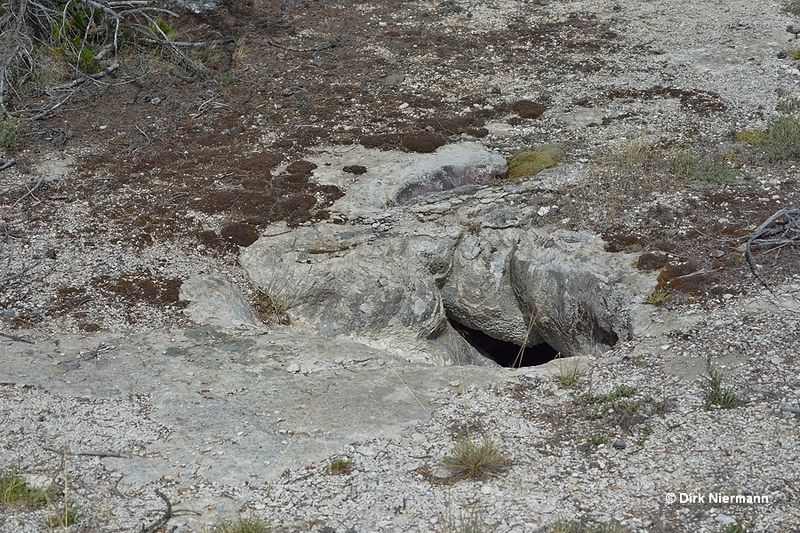 The GIP indicates hot periods of the Giant Complex by a rising water level even if it is located at some distance near the boardwalk to Grotto Geyser.